Customer relationship management software has created a buzz in today’s business world. CRM, as the name implies, manages company’s relationship with the customers and thus offer them incredible customer service and expand their customer base. This modern software is effective for both small and large business. Most of the businesses have invested in this modern software so as to enhance the efficiency. One of the emerging trends in CRM is to make the use of cloud-based CRM Software. Cloud-based CRM software is actually hosted in the cloud which means that this can be accessed through the internet thus making it simple for all users to access the same information at anytime. There is a lot of confusion regarding this concept whether to use cloud-based CRM or not and thus we are here with some of the reasons why your business needs a cloud-based CRM system. Trouble-free InstallationThe prime benefit of using cloud-based CRM software is that this is simple to install and thus the fear of its complex installation is no longer valid. Now, no business case is required and thus you can run this software in no time. All you need to have is the strong internet connection. Sign in online and you are ready to go. Isn’t it simple?? With this, you don’t have to pay for hardware, software and server maintenance as well. Seamless AccessAnother benefit of using this cloud based CRM is it’s round the clock accessibility. This software can be used at anytime and from anywhere. See, your clients are not gonna wait for anything so why your CRM software does. This cloud-based CRM allows you to make game changing amendments in your sales or to send sales proposal to the clients or anything you want to do. With this, you can always stay connected with the central database and thus enjoy flexibility and freedom of doing whatever you need to do at anytime. Ease of useNo one wants to use complex software and thus keeping this fact in mind, this cloud-based CRM is designed. This software is very simple to use as all you need to enter your access or login details and just start using the same with much ease and comfort. Remember, your internet connection should be fast enough to work properly. High Security LevelsSecurity is the major concern on the internet and thus this cloud-based CRM are designed to provide utmost security. As CRM is associated with business and thus there is no surprise that its security levels are much higher than expected. Providers of cloud-based CRM renders automatized backup policies and thus have clear data recovery plans if a breech happens. Users can also enhance the data security by using two-step authentications and extremely strong passwords. 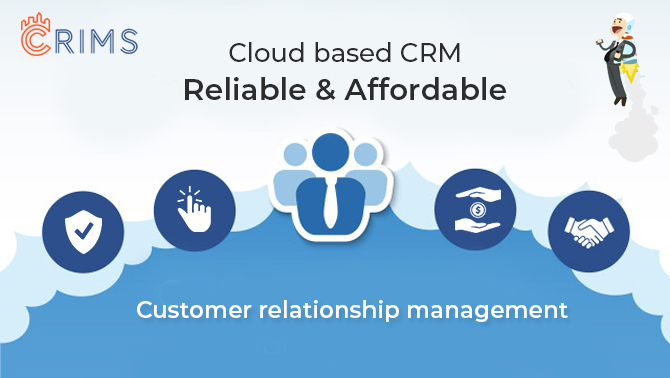 Extremely ReliableCloud-based CRM software is designed to offer reliable operation to its users. This software will never crash and thus will never lead to the total financial meltdown as all parts of CRM are strongly backed up. It means that cloud-based CRM software has several replicas and, therefore, if something happens then it will be immediately replaced and thus the system won’t get disrupted. Affordable solutionsCloud-based CRM software is much more affordable than you think. This product surely won’t break your bank. Cloud-based software basically operates on the pay-as-you-go subscription model which requires minimal investment. Moreover, there is no hidden cost for this product such as buying additional hardware or license fees etc. This software offers several benefits and is available at budget friendly price. CRM i.e. customer relationship management software holds special importance for both large corporations as well as small business. The focus of CRM is to enhance and improve the company’s relations with their customers. CRM software has become an integral part of a small business nowadays as it manages customer relations which in turn improves customer service and thus allows business to utilize the customer’s contact information for the targeted marketing. 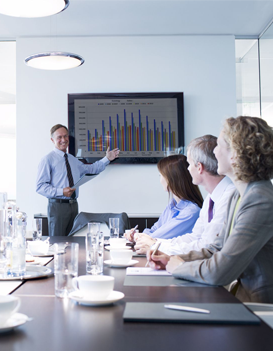 This is a result-driven and cost-effective approach to maintain the pace of the business. Customers are the biggest asset for the company, whether large or small and thus it is important to maintain a good relationship with them. Below are mentioned some of the benefits of using CRM software for small business. The prime benefit of using CRM software is that it improves customer service to a great extent. It actually offers lots of possibilities to the user and thus enhances their customer service. This software allows you to provide superior customer service to its clients that will set the company apart from others. This software releases your time by handling email and billings and thus allows you to communicate with your customers in a much effective way. Your emails will be automatically generated by the CRM software and thus your company’s workflow is being easily tracked. See, clients are the key to success for both small and large business but when it comes to small business, their importance multiples by thousand times. A customer chooses small business over the big one with the expectation to feel taken care of and thus it is advised to use CRM software and thus give extra time to focus on client’s personal needs. 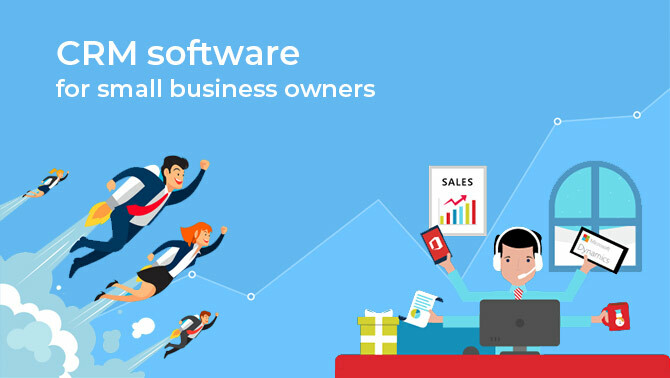 As already explained that customers means everything to small business and thus the second benefit of using CRM software is that it helps in expanding your customer base. CRM software packages are equipped with several map applications which allow business owners to pick up new customers within that specific location. Its applications are used to track statistics that will allow small business to increase their customer base within their ideal demographic. CRM software is designed with useful applications and thus focuses on helping small business to grow. It is a powerful tool and thus takes these small businesses to the unmatched heights. It surely increases productivity, drive revenue and thus improves the effectiveness of the sales force. Another benefit of using CRM software for small business is that it helps in recognizing or identifying the potential customers and competition as well. Business owners can utilize the report module and thus can get a clear idea about the new markets where they can target to draw the attention of new customers. These report modules also help you to know about the potential customers so that you can offer them with best services and thus retain them for pretty long time. Last but not the least, benefit of using CRM software is that it is a cost effective solution to enhance the customer – company relationship. This product is not at all expensive and thus small business can easily afford the same without emptying their bank balance. Moreover, the new web based or on – demand CRM software can be accessed anywhere in the world. 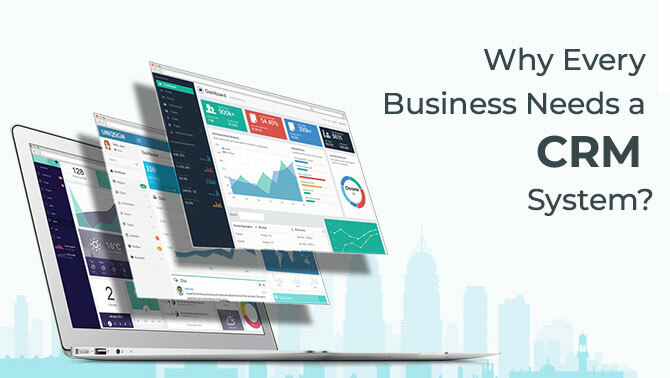 It simply means that with the help CRM software, you can monitor your business from every corner of the world and thus can easily track all essential activities related to the business. When does a company need a CRM system? Maintaining healthy relations with the customers is one of the crucial factors of achieving business success. All big and small businesses are well-versed in the importance of this customer relationship. A well-structured CRM helps in supercharging your business from nothing to everything. CRM or the customer relationship management aids in the storage and maintenance of prospect and customer information. Moreover, CRM plays a supporting role in hunting for the new customers. While searching on for the new customers, a perfect and well-organized CRM prioritizes on uplifting your business lead volume. We have been hearing about the rising importance of an efficient customer relationship management. However, is it essential to start your business with the CRM system in its early stages of development? Let us find out, when does your company need the assistance of a CRM system. What are the alarming signs that your business incurs when it is in need of a robust CRM system?The business is not consistent in maintaining a defined lead flow:This situation is experienced when there are ample of opportunities coming your way to uplift your business. Unfortunately, you fall short in handling the business challenges and opportunities efficiently. It is the first warning sign that your business is in need of a customer relationship management. Here, a smartly devised CRM sorts out the business lead complications for you. It prioritizes the important ones so that your sales team instantly efficiently responds to those leads. It thus organizes the business lead flow for you and aids in efficient time management. When you feel that your business customer data is out of your reach or it is hard to trace:In case your business stands in the nascent stage, it’s okay if you go ahead with those traditional counterparts of spreadsheets, sticky notes, and emails. However, as your business scales up, it needs constant support of an automated system. Also, the old tools of spreadsheets, sticky notes and emailing systems somewhere limit your team’s visibility into customer interaction. With the latest CRM system installed, all the hustles generated out by its traditional counterparts fades over time. Its installation further helps in effectuating a process of swift decision making. 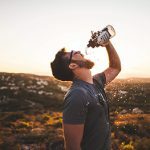 You are not aware of the performance of your sales team: Be your sales team present in-house or on the road, it is a pre-requisite for your business to know what your sales team is doing. When a business enterprise owns a high-tech customer relationship management system, it becomes convenient for the sales individual to update his regular work. A CRM system facilitates the users to upgrade on their daily activities so that their team manager receives them instantly. When your business falls short in accomplishing a well-defined customer service: Building a customer network is not an easy task. In case your business fails to serve with a customer-centric approach, the possibilities of losing your existing customers along with the targeted customers are quite high. It is an alarming critical sign for CRM system when you feel that your customer service team is proactive towards reacting to the customer queries and complaints in place of anticipating what the customer wants. Your business’ long-term accounts are dis-organized: No one ever desires that his biggest customer get disheartened. A structured CRM software assists in alarming you about your business milestones and significant events scheduled for your valuable customers. This facilitates you with an ease in the communication process with your customers for a long haul. These are some of the alarming signs when your business feels the need of setting up a customer relationship management system.